How To Create A Survey Form On A WordPress Site? Have you ever seen any survey form on any site? Survey forms used to gather information about any certain thing, it can be a website, any product or service or anything. A survey form is a type for a form which used to gather information, help to know what your users/customers are thinking about your company/product. 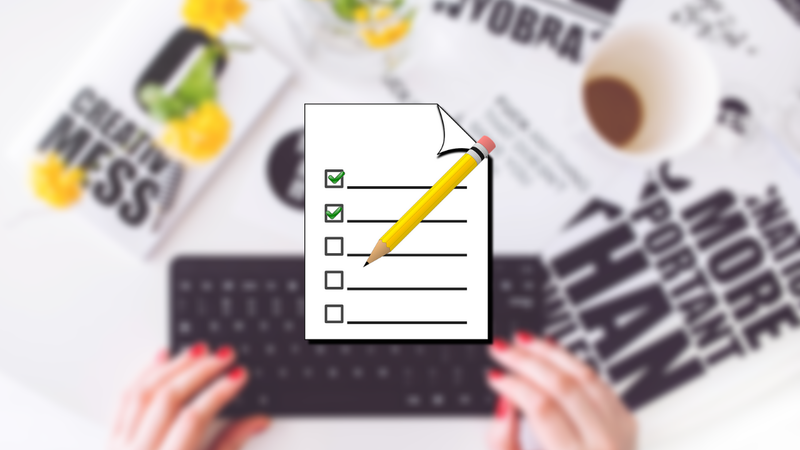 So, why do you need Survey Forms for your WordPress site? Why Your WordPress site Needs A Survey Form? I am sure you are wondering that why your WordPress site needs a Survey form. As you know contact forms are the must-have forms for any website as contact is important, survey forms are equally important for a website/blog. Collect Feedback: Survey form help you to collect feedback about your Website/Blog, it can be about its content, design and any other element. Get New Post Idea: Survey forms also help you to get new blog post idea what your readers want to read. Create A Discussion: If you ask meaningful questions in your survey forms then it will start a discussion about your company or product with your users. But now another question arose, How to create Survey Forms? And Which tool we should use? WPForms is a drag and drop form builder which makes easy for the beginners to create their own form, apart from that, it also has pre-built templates which save time. 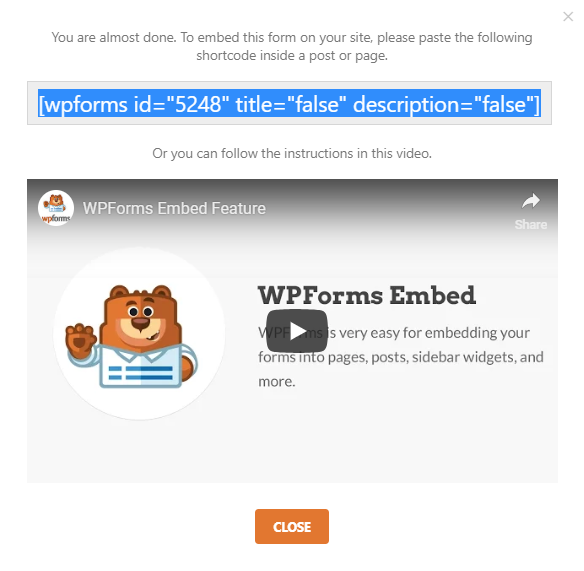 WPForms owned by Syed Balkhi, the same guy behind WP Beginner and OptinMonster, WPForms offers an intuitive way to build all types of WordPress forms. WPForms has 1+ million active installations with 5 Stars Rating which proves how much popular it is. Whenever you search for WordPress Forms Builder, you will get WPForms on the top. They have recently launched the Polls and Survey add-on for fulfilling their customers need of creating survey forms for WordPress site. Gravity Forms can be used for contact forms, WordPress post creation and survey forms for WordPress site. 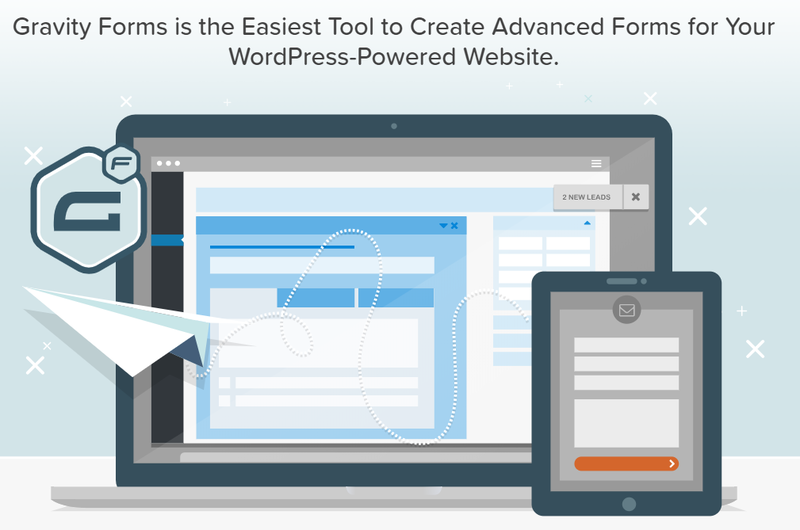 Gravity forms is another best Drag-n-Drop Forms builder for WordPress. You can check the demo for Gravity forms by clicking here. CrowdSignal (aka Polldaddy) is a famous WordPress poll and survey plugin. This is not used for Creating contact forms, this is a suitable option for creating polls and surveys only. It is available as a free plugin, but you need a WordPress.com account to get the API key. Free version for plugin has some limited features and you will see Polldaddy logo on your Survey Form. After trying all the plugins and reading users reviews I came to select WPForms for creating Survey forms for my WordPress site. It is not only best survey rather it is also the best plugins for creating Contact form, in fact all types of forms for WordPress. 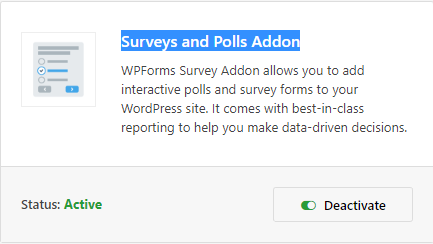 First, you need to activate Surveys and Polls Addon by going to WPForms>Addons, Scroll down to the end and you will get Survey and polls addon. On the next screen, you will be seeing a default Survey forms created by WPForms for you, You will seeing the following field there. You can add more field into your forms by dragging it from the left side to your form. Just click on the rating field, then you will see customizable options on the left side of the screen. Description: Enter the description here, how you will ask users to rate. Scale: You can change the no. of stars to be shown. 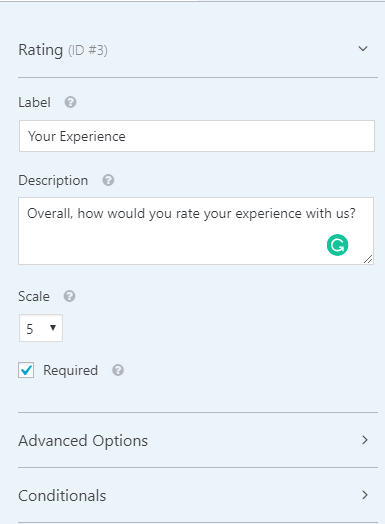 Required: Check the box if you want to make it field required, If you check then users will have to rate this otherwise they can’t submit the form. Icon Color: You can Change the color of the Icon. Hide Label : Check if you want to hide the label. CSS Classes: You can add the custom CSS. Go to settings, you can see General Settings, Notification Settings, Confirmation Settings and Survey And Polls settings(which you already setup). General Settings: You can change the form name, Form description, Add CSS Classes, Change the text of Submit button, Add Submit Button CSS. Notification Settings: You can on or off notification for this form, Change the email address on which notification will send to, change email subject, from name, Message and all other related to email notification. Confirmation Settings: In this tab, you can change the Confirmation Type from message to Show page or redirect to any other page. You can also edit the Message which you users will see after submitting the Form. Copy that code and place wherever you want to show this form. This is how you can create a Survey form in your WordPress site using WPForms, this is so easy with the WPForms Survey and Poll addon. I am sure you liked this post and found it helpful for you, if you did then must share it with your friends and let them know about this.